Applying too much nitrogen fertilizer to vegetable crops would increase the nitrate concentration in the vegetables, causing health concern such as Blue Baby Syndrome and cancer. Actually, applying too much fertilizer to vegetable crops would cause "empty fatness" in vegetables. It is like feeding too much junk food to children, causing them to be obese. If a farmer looks after the soil really well, natural processes will keep the soil fertile and hence there is no need to apply fertilizers, whether organic or synthetic. There is a wide range of organisms flourishing in a healthy soil, including small animals, worms, insects and microbes. In the Rhizosphere (root zone), there is a large amount of microbes helping to release the nutrients in the soil and supply them to the plants, which in return feed the microbes with its exudates (secretions through the roots, mainly sugars produced by photosynthesis). Many legume plants (peas and beans) contain symbiotic bacteria called rhizobia within nodules in their root systems. Rhizobia fix atmospheric nitrogen into a form that plants can absorb. The high-temperature and high-pressure conditions during lightning also fix atmospheric nitrogen into nitrogen oxides, which dissolve in rainwater, forming nitrates, that are carried to the earth. Natural fertilizers are what plants really need. Furthermore, the creatures in the air, on the land and in the soil such as birds, insects, small mammals, all help the cycling of nutrients in the environment. This is how the soil gets its fertility naturally. Natural fertilizers are what plants really need, not artificial fertilizers. Besides, artificial fertilizers would adversely affect the healthy structure of soil and break the natural nutrient cycles. thus adding fertility to the soil. If fertilizers (especially nitrogen) are applied too frequently or too much, the vegetables may grow faster, but they may not have the time to absorb other nutrients sufficiently. 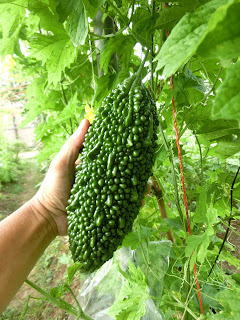 The vegetables, although bigger in size, are not healthy and more prone to diseases and pests. If we consume such vegetables, we won't be healthy too. Vegetables that are big and look nice may not be really healthy. They may be the products of commercial farms where a lot of fertilizers are used to boost the yield. Such vegetables may not be rich in the nutrients that they should contain, especially phytonutrients, which are so important to our health. Most of the fruits and vegetables sold in Singapore are imported from Malaysia, China and Australia. It is difficult for us, the consumers, to know for sure the farming practices used by the commercial farms in those countries. We need to shift from the thinking that productive farms must be of industrial scale and occupy large areas of land. Land scarcity in Singapore is actually an opportunity for us to establish small, but yet productive natural farms. An UN report in 2011 predicts that small farms employing simple ecological methods will play an important role in addressing the world's food issues. 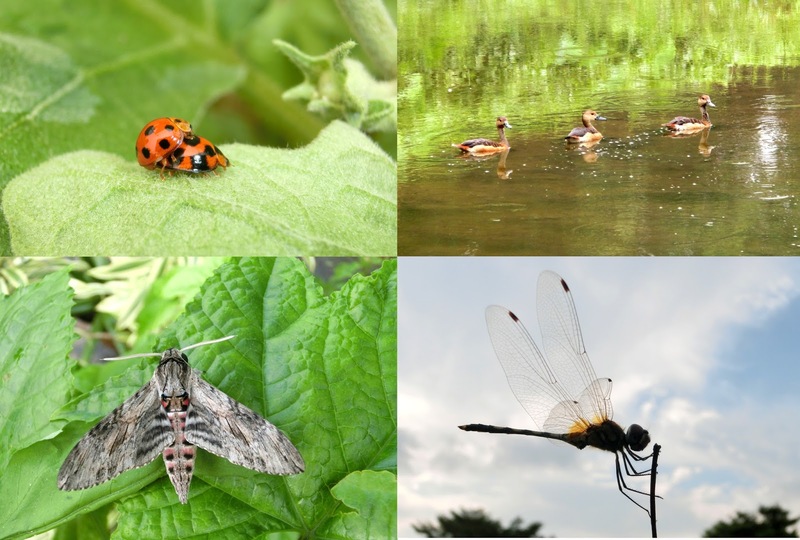 These small natural farms not only produce healthy, nutritious food, but also create a conducive environment for both people and wildlife. I hope that the leaders in Singapore, with their foresight, will seriously take this into consideration in their land use policy planning. 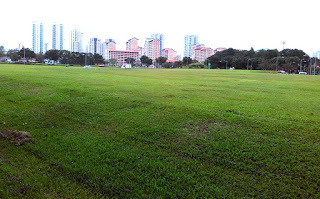 There are unused green spaces all around Singapore. Some of these green spaces can be converted to small natural farms run by groups of people not as commercial farms, but as something similar to Food Commons, or as the next level of Community in Bloom initiatives. These small farms are not just recreational gardens where folks spend their leisure time. They should be productive farms and contribute to the food resilience of our nation, besides serving other functions such as enhancing the natural environment, education, community bonding and recreation. The planned Tengah Forest Town, which has an area of 700 hectares, has a huge potential of establishing a few larger natural farms too. 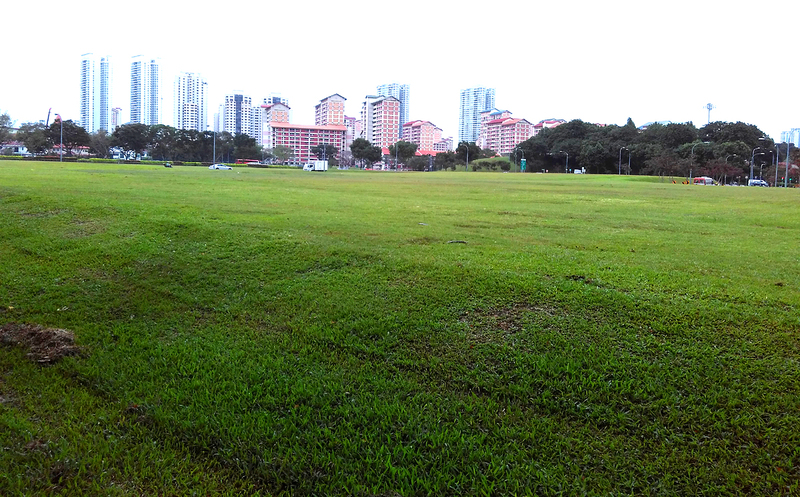 There are unused green spaces all around Singapore. I vision Singapore to be a nation with many small natural farms in the neighbourhoods, where people come and get connected with nature, grow and share their food, and enjoy the lush, lively natural environment.